While talking over the phone with one of our dedicated volunteers she related a wonderful story on how she learned about our foundation. I asked her to write her courageous story so I could share it on the website. We hope you appreciate it and other comments from callers to the Bloch Cancer Hotline. When I was first diagnosed with cancer in February 1992, it was not the shock of discovering I had cancer that knocked me to my knees, it was the 5 doctors I had telling me that I probably had 8 to 12 weeks survival time, I could not make my self believe this. I needed to find something positive, some bit of hope I could believe in and hang on to. I knew my diagnosis was bad, 2 tumors in the left breast, 2 different types of breast cancer, as well as cancer in 18 lymph nodes, and my liver and my lungs. Bad, bad news, but I needed to find a way to believe in a positive outcome. The surgeries and the chemo could take care of the cancer, but I had to start feeling I could survive long term. I’m not sure where I saw the notice about the R. A. Bloch Cancer Hot Line, but I knew I needed to call. I spoke to a woman who told me they were going to send me Richard’s book “Fighting Cancer.” When my book arrived I sat down and read it from cover to cover, and then I read it all over again. This book became my power of positive thinking. This wonderful book told me to believe I could get well, to find a doctor and a treatment I could believe in. I started to think of the future, my future, life beyond cancer no longer seemed impossible. “Fighting Cancer” made me want to read more, I read Richard’s other 2 books, and I also read Dr. Bernie Siegel’s book, ‘Peace, Love and Healing’. More positive thinking. From Bernie’s book I learned to be a ‘difficult’ patient, I wore my own clothes in the hospital instead of just a hospital gown, I woke up every morning believing I could survive, I could get well again. And I did. After treatment I had 12.5 disease free years, then in 2004 the cancer returned, this time it was all through my lungs, liver, and 6 to 8 spots in the bone. I went back into treatment, and I went back to my books, I read and re-read them until I once again felt empowered to believe I could get better, I could get well. And once again I did. During my 12.5 disease free years I got the greatest gift ever, I got to meet both Bernie Siegel and Richard Bloch. Dr. Siegel spoke at the City of Hope, where I had been treated in 1992, and I got to tell him that after I read his book I decided to become a difficult patient and get well. He laughed and hugged me and signed my book. 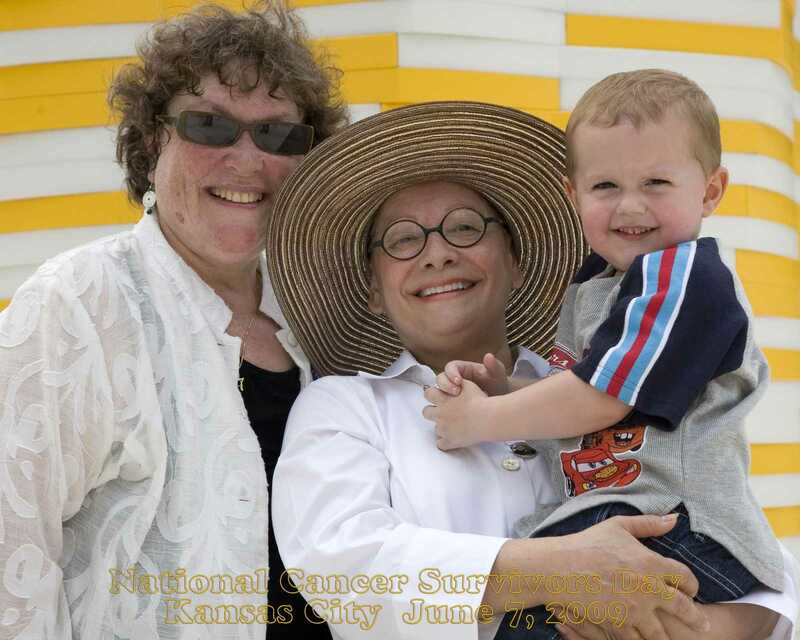 Then in June of 2000 I got to attend the National Cancer Survivors Day Rally in Kansas City, MO. This is when I got to meet Richard and thank him for writing the most amazing book. I thanked him for the knowledge and empowerment “Fighting Cancer” gave me. “I just wanted to give you an update on my daughter. Remember she had a malignant brain tumor? She is happily living in Peoria, Illinois, and has returned to work substitute teaching. She has new doctors there and likes them better. They both specialize in brain tumors and decided to keep her on the temodar (chemo) for longer than the old doctors had planned. She had an MRI just before Christmas and all was well. The neurosurgeon said he doesn’t need to see her again unless there is a problem. “I have enjoyed reading your books. I thought you would like to hear a happy and blessed story of a cancer survivor. This is about my husband, who will be 83 on June 7. He was operated on April 10, 1969, for cancer and had his entire right lung removed. Recently he was awarded a beautiful citation from “Guinness book of Records” for the longest-living cancer survivor living with one lung. On Feb. 28 we were notified by Guinness that he was going into the 2006 world record book. “I am so very grateful for the information received and the promptness to my request. Within 24 hours of my initial contact, I received three calls from cancer survivors who had had similar experiences. Your book saved my life. In 1992 I was diagnosed with stage 2 breast cancer. I was 36. Not much was out there at the time for breast cancer especially for women under 40. My cancer journey was long and difficult. But I went for a second opinion and took my slides and I went to a major cancer center. They found that cancer was in 4 lymph nodes when I had been told by a previous hospital that I had cancer in ZERO lymph nodes. I was given aggressive chemo. After reading your book I took another step and had a prophylactic mastectomy on the breast I had left. I figured it was a miracle the cancer was found the first time and I wanted to do all I could on my end. I am just so grateful for your book that I would love for everyone to have one when they find out they have cancer. I called all over the nation to find a lung cancer survivor I could talk with, but everyone just wanted to send me to a group. I didn’t want to talk to people who were in the same boat I was in. I wanted to talk with people on the other side of the puddle! You connected me with Herb, a long-term survivor, and through him you gave me the hope and courage to get through this. I have had my surgery, and I am having my chemo, and I’m doing fine. I wanted to let you know that Sue had her brain surgery this morning and came through it with flying colors. She will be in ICU through tomorrow and able to leave the hospital on Thursday. I wish SO much that Mr. Bloch was still alive so I could thank him. My brother has Stage 4 small cell lung cancer. I have searched the Internet for positive information for months, always with mixed or very sad results – until last night, when I found your site. It was discovered by accident that I had carcinoid tumors in my stomach. Testing determined I needed the complete removal of my stomach. Well, it worked. A few weeks ago my 10-year-old son and I had the wonderful experience of finding the survivors park in San Diego. It was breathtaking. We went around and read all the plaques, taking turns. My family helped my father fight his cancer for five years, then we lost him three years ago. When I visited the park for the first time with my daughter this weekend, I was moved to tears. It was overwhelming for me – that someone would do something so beautiful to help others fighting such an evil disease. Not only is it a beautiful park but it has a beautiful message. 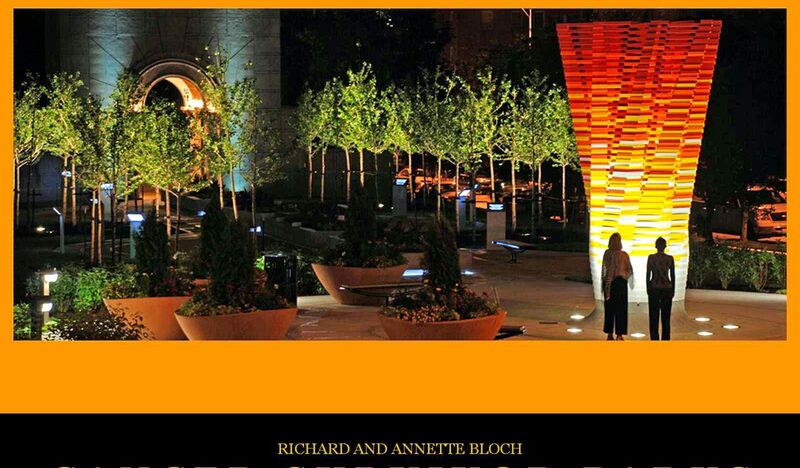 I wanted to say thank you, thanks to the Blochs who founded it. They are an inspiration to us all. I hope it will help others, inspiring and giving them a place of retreat when they need some peace. Thank you for your help in providing a contact in which to share our experiences with brain stem tumor. I have had a long conversation with a 16-year survivor, which I hope and pray, I could do half as good, since I am 30 years older than he and recently had a bout of lung cancer as well, for which I underwent a lobectomy and aorta resection. Just a quick note of thanks for your great organization! I was diagnosed with breast cancer in April of 2010. The Breast Center at St. Luke’s Hospital on the Plaza in Kansas City put one of your books in a packet for me. The reading was easy to absorb with so many resources. You have helped so many people. Again many thanks. Thank you for your kind words. Should you wish to speak with one of our cancer survivor volunteers do not hesitate to call and request it. Local number 816-854-5050 and toll-free 800-433-0464. Any cancer treatment facility that would like free copies of our books, Fighting Cancer(English and Spanish), Cancer…there’s hope, and Guide for Cancer Supporters, can request them through the Bloch Cancer Hotline 800-433-0464. Dear Friends, Many years ago my daughter was diagnosed with t-cell ALL. The doctors told me that she would hopefully live to see Christmas. It was Halloween and Sara was only five and a half years old. Somewhere in the back of my mind I remembered a phrase from somewhere. “People die on schedule” I decided to shut out the doctors timetable and work on one of my own. Sara is living her 20th “bonus” year this year. Over the past two decades we have had many close calls with my beautiful daughter but the closest call was almost believing that she wouldn’t see Christmas of 91.